Created by The Oberoi Group, the 'Vilas' properties have already gained a reputation for being among the best hotels in the world and, for the ultimate in luxury journey in India, this tour simply can not be bettered. 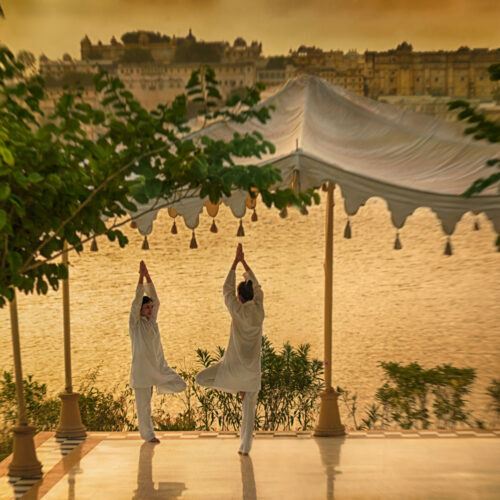 The 'Vilas' properties by Oberoi - '...a dazzling new ring of hotels around Rajasthan: outrageously luxurious and faultlessly comfortable, wit the most delicious, zingingly fresh, nonthreatening food.' ( Victoria Mather - travel Editor, Vanity Fair). On arrival stay at The Oberoi, Mumbai. Morning free. Afternoon flight to Udaipur and stay 3 nights at The Oberoi Udaivilas, one of the most luxurious hotels in India. Morning tour of this lakeside city, visiting the temples and the stunning City Palace. Afternoon at leisure. 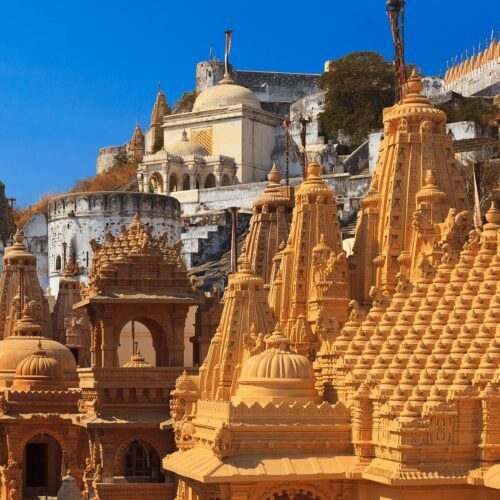 Full day excursion to the exceptional Jain Temples at Ranakpur. Lunch will be at The Mana Hotel. Morning flight to Jaipur, capital of Rajasthan. Explore the city this morning visiting the City Palace, Observatory and drive past the Hawa Mahal, the Palace of the Winds. Stay 2 nights at the first 'Vilas' property,The Oberoi Rajvilas and a great favourite with many. Afternoon free to enjoy the luxurious surroundings and spa. Ascend by elephant back (optional by jeep) to the hilltop Amber Fort. Explore this magnificent fort and small Kali Temple. 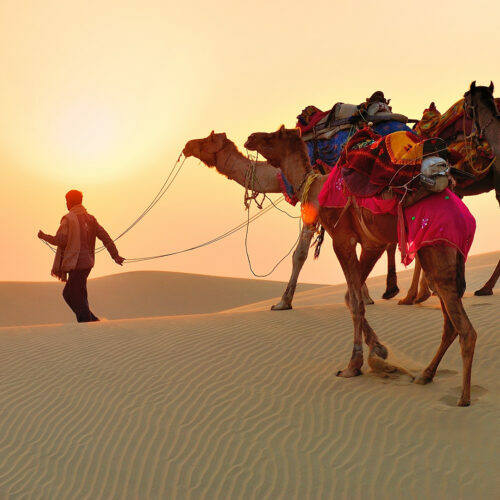 Afternoon explore the 'Pink City' the bustling metropolis that is Rajasthan's capital, seeing the Observatory and the City Palace. Morning drive to Ranthambore National Park for a 2 night stay at The Oberoi Vanyavilas Hotel, which comprises what are considered to be amongst the world's most luxurious tents. 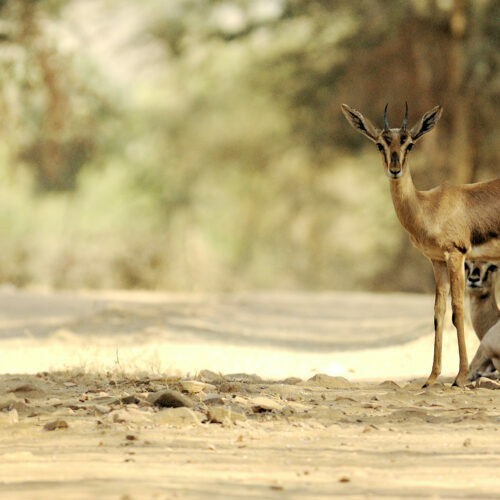 Arrive Ranthambore in time for an afternoon game drive. Early morning and evening game drives in search for the elusive Bengal Tiger and other animals that inhabit this varied habitat. Early morning drive to Sawai Madhopur and travel by train to Bharatpur. Drive to nearby Agra via the fascinating, deserted city of Fatehpur Sikri. 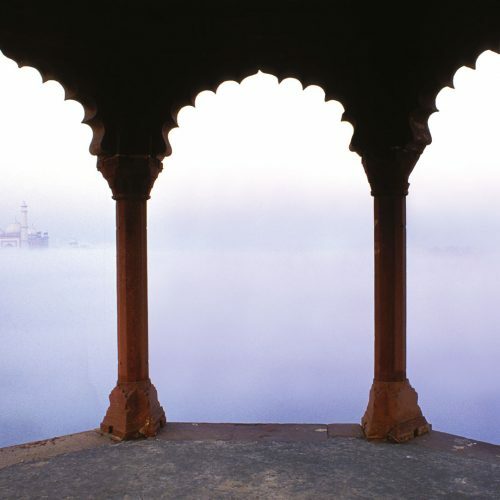 On arrival stay 2 nights at The Oberoi Amarvilas, just a stone's throw from the Taj Mahal. Dawn visit to the Taj Mahal which is strikingly beautiful in the early morning. 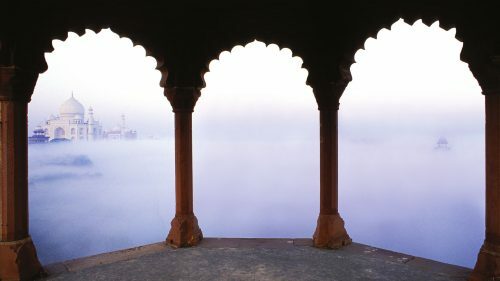 Continue with a full day exploring Agra, seeing the fort and Itmad-ud-Daulah. Optional return to the Taj Mahal for sunset. Morning at leisure. Afternoon drive to Delhi where a room is at disposal at The Oberoi, Gurgaon. Price is based on double occupancy, and is subject to change based on hotels and dates of travel. Price includes international flights on British Airways travelling in World Traveller (economy), accommodation in a double/ twin room, breakfast, sightseeing, transfers, domestic flights and train, private guides and chauffeur driven car.